Amsterdam, you've got beautiful canals, and you've got some sweet treats too! Check these 2 sweet shops out! Pancakes Amsterdam has several locations throughout the city, and have a menu of both Dutch and American pancakes, either sweet or savory! The mouthwatering dutch pancakes are served in a gorgeous cafe located in central Amsterdam with a view of the winding canals! Definitely worth a taste! Check them out at: https://pancakes.amsterdam/ ! 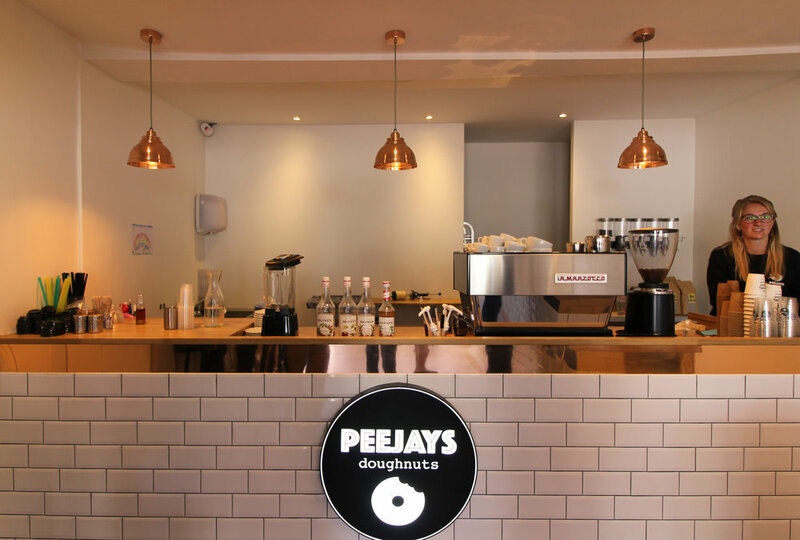 Peejay's doughnuts are the perfect combination of sweet glaze and fruity filling. With 20 home made and unique doughnut options they are definitely worth a taste! They also sell amazing coffees to drink in the cafe or to take away. The cafe is also beautifully designed, modern, with warm and copper tones!